These videos will provide helpful tips and techniques that you can implement / continue based upon your dogs individual needs. We will also be featuring videos of Dog Success Stories and their owners continuing with good training behaviors. 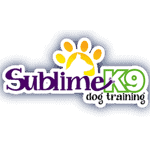 In this video Katie, from Long Island's Sublime K9 dog training discusses the importance of not exerting undue pressure on the leash in different situations you encounter with your dog on the walk. In this video, Jessica of Long Island's Sublime K9 dog training discusses multiple techniques that you can use that will help curb anxiety in your dog. In this video Katie, of Long Island's Sublime K9 dog training, discusses the importance of introducing distracting situations for your dog to see how the dog will react to commands when in a situation where lots of things are happening. Like the daytona 500. In this video - Jessica talks about actions & commands you can use with your dog to help control their reaction when visitors arrive. This is a common reaction from dogs as they are always excited to greet new visitors, especially someone they recognize. You can use these techniques to calm your over excited greeters. In this video, Sublime K9 owner Jessica Freedman discusses the importance of allowing your dog(s) on home furniture such as beds and couches. Dogs view these areas as #resting places like humans do. Disrupting a #sleeping / resting #dog can result in biting & nipping. This is Kota, who recently passed the American Kennel Club Canine Good Citizen Program. The Canine Good Citizen Program teaches good manners to dogs and responsible dog ownership to their owners. The 10-step CGC test is a non-competitive test for all dogs. Kota will now work as a grief dog at Moloney Funeral Homes. For more information on Good Citizen or Therapy Dog Training visit our website. In this video, Jessica discusses the benefits of using a crate when your dog is puppy. While not mandatory, it provides the dog with not only an area where you can place them when they are unsupervised, but also safe area where they can sleep / play with toys. It can also be used during home training exercises.